I love how easy this card was to make. Looks much better than in the pics, no sun today which make my craft room much darker. After I took the first 2 pics and made the quick video I decided to go back and do some stitching. This card is just darling! 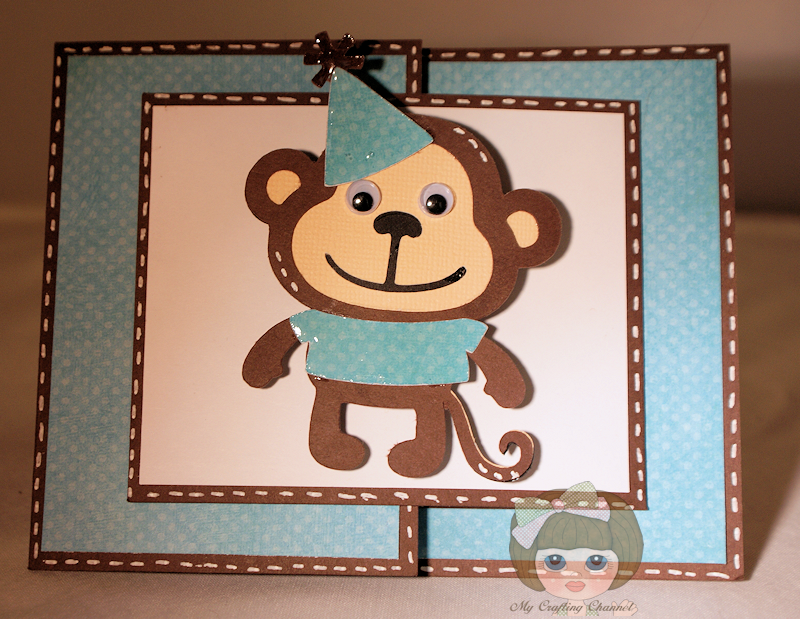 Love the fold and the cute little monkey! Such a sweet card my friend! This is one cartridge that I have not gotten yet, looks like I just might have to go on a shopping trip. TFS! I love this Nana that monkey is really sweet and I like the card design. too cute, love the wobble action! So I seriously LOVE this card! !Love the monkey w/the A/W!My Bday is in June...LOL!Please post it on your calender..LOL..! 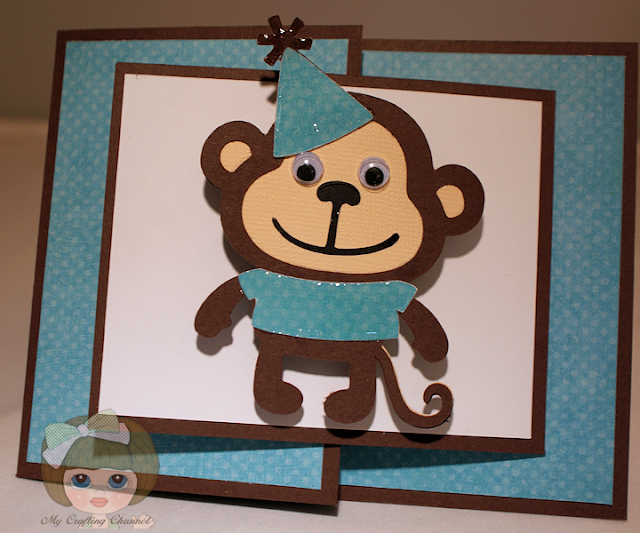 WOBBLY fun and so happy you are now monkeying around in your craft area.